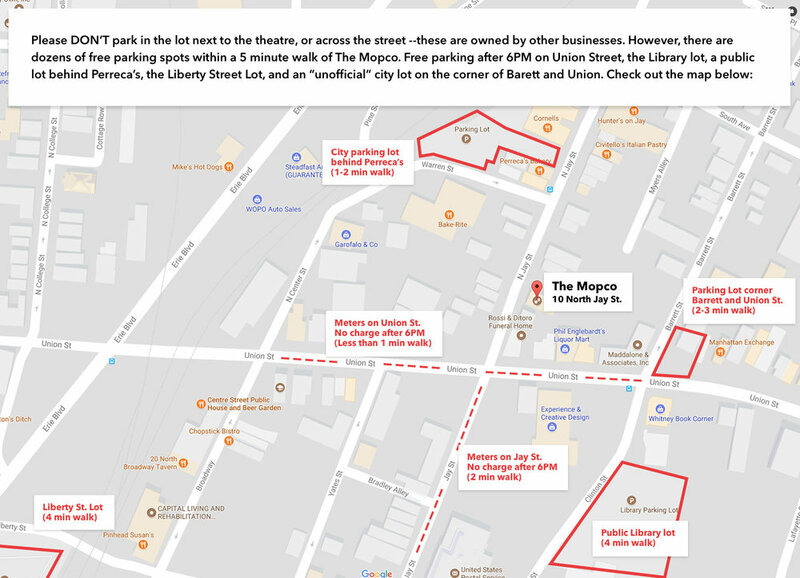 After a decade as a resident company at Proctors in Schenectady, NY, Mopco has created The Mopco Improv Theatre at 10 N. Jay St. The building houses performances, regular improv classes and special master classes, and Koppett, our Organizational Development consultancy. Outside of our theatre, we provide corporate entertainment, shows for private parties, school shows and in services, and special event talent. We also host regular classes and special master classes in improv technique.